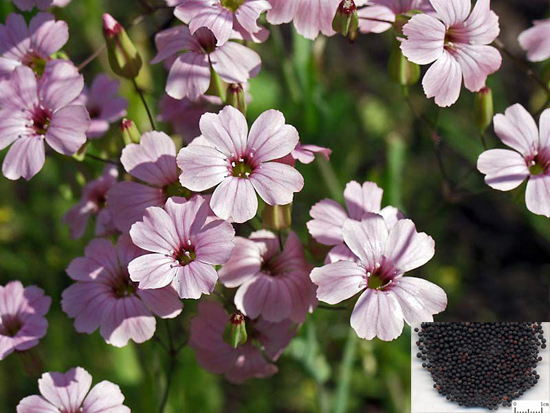 Common Name: Vacarria seed, Cow soapwort seed, Cowherb seed. Part Used & Method for Pharmaceutical Preparations: The whole plant is harvested in June or July. After it has been dried in the sun, the seeds are removed from their shells. They are then dried again. 1. Dysmenorrhea by retardation of blood circulation or amenorrhea caused by blood stagnation. Vaccaria seed (Wangbuliuxing) is used with Chinese angelica root (Danggui), Safflower (Honghua), Chuanxiong rhizome (Chuanxiong), and Motherwort (Yimucao). 2. Postpartum insufficient lactation. Vaccaria seed (Wangbuliuxing) is used with Pangolin scales (Chuanshanjia) and Rice paper pith (Tongcao). If there is deficiency of qi and blood, Astragalus root (Huangqi) and Chinese angelica root (Danggui) are added. 3. Mastitis with pain and swollen breasts. Vaccaria seed (Wangbuliuxing) is used with Honeysuckle flower (Jinyinhua), Dandelion herb (Pugongying) and Trichosanthes fruit (Gualou). 4. It is used to treat testitis.